Giallo e Nero is back. This week the Italian thriller writer talks about new crimes and old crimes coming to the fore again. 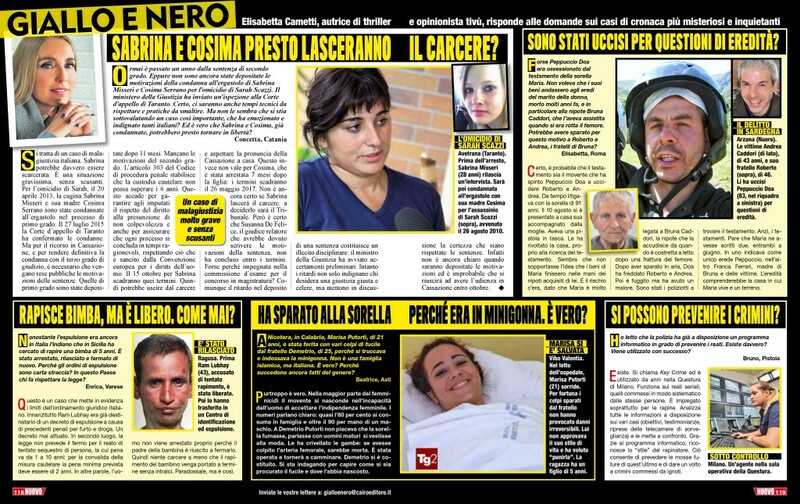 Elisabetta Cametti satisfies readers’ curiosity about new unsolved crimes on the Italian weekly magazine Nuovo (Cairo Editore, 1/09/2016).